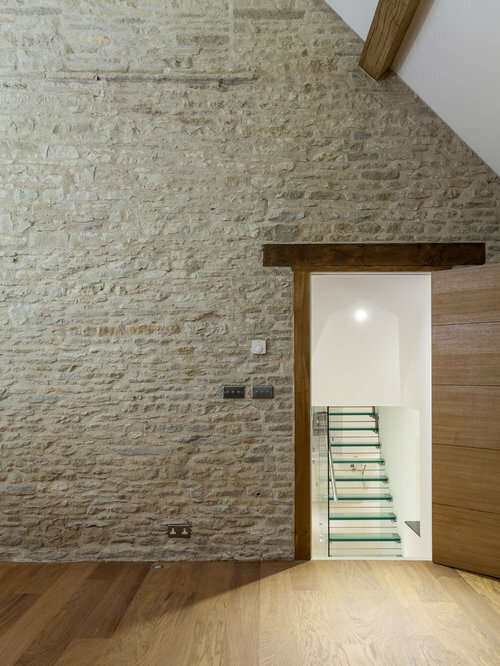 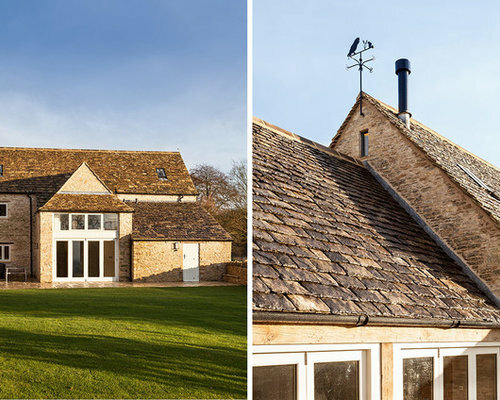 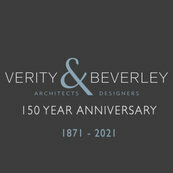 Conversion of a derelict traditional Cotswold stone barn within a Conservation area into a modern family home. 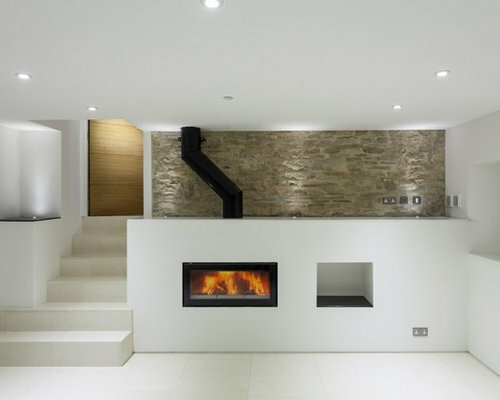 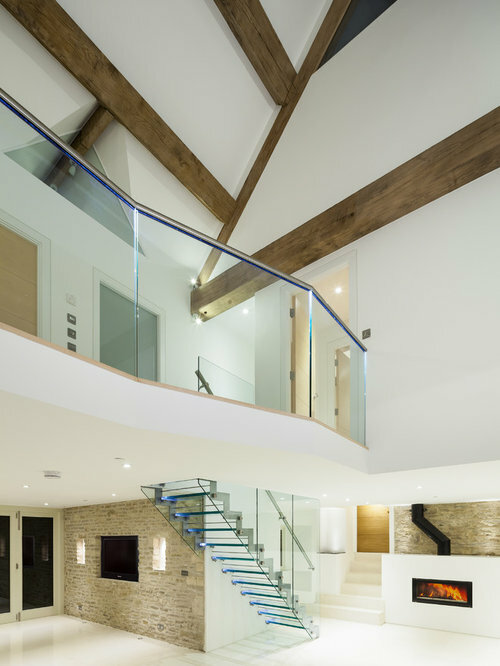 The internal layout was kept open plan on the ground floor, including a central triple-height hallway area, to keep the character of the existing barn. 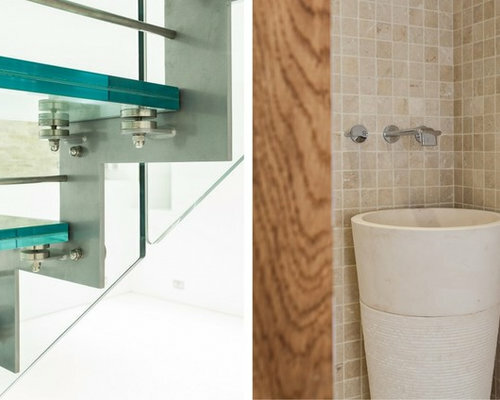 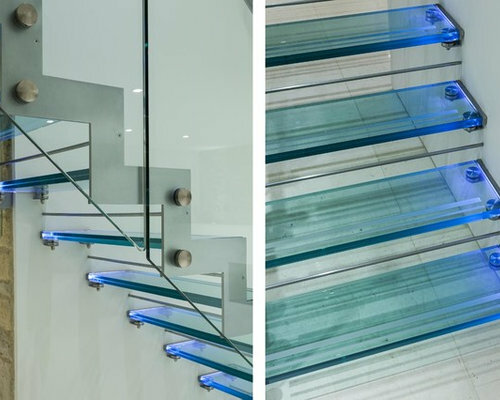 Where possible, walls were left as exposed natural stone, with a bespoke glass staircase and balustrade across the first floor bridge landing providing a stark modern contrast to the existing materials. 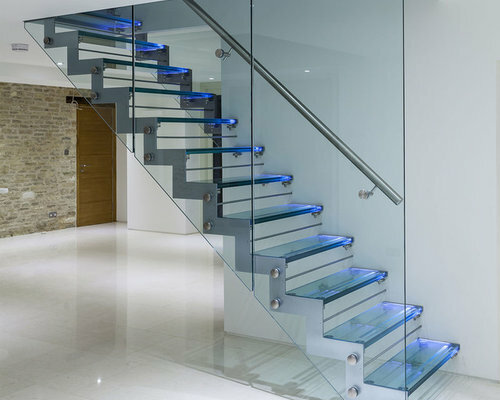 The staircase incorporates built-in LED strips which wash a cool blue light over the glass, making it appear to glow and creating a sharp focal point against the rubble stone walls of the barn. 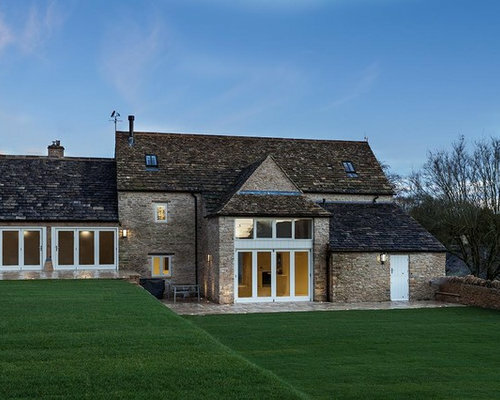 The mixing of old and new continues throughout the barn with crisp tiled floors and traditional oak floorboards, exposed rubble stone and white plastered walls, clean white ceilings and exposed existing oak purlins and beams, creating a thoroughly modern but also sympathetic interior. 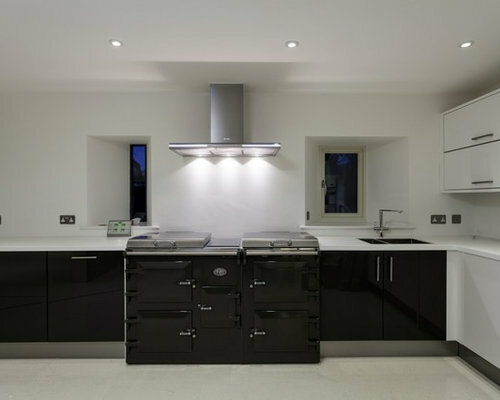 A new-build 3-bay garage with accommodation above was also provided as part of this scheme.